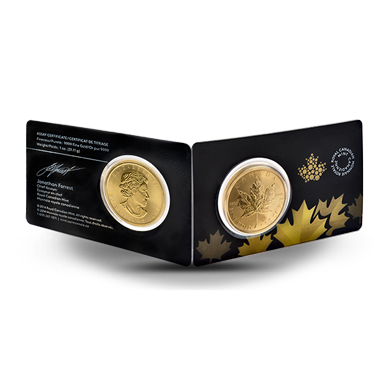 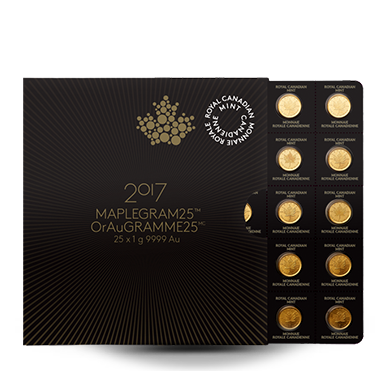 The iconic Gold Canadian Maple Leaf is one of the world’s most popular bullion coins with over 25 million troy ounces being sold since the coin was first issued in 1979. 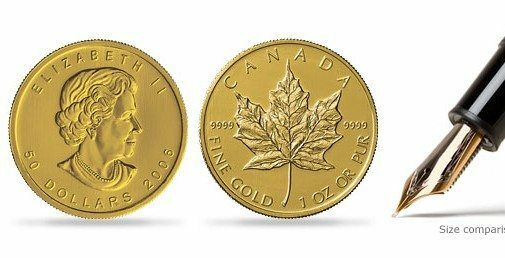 One of the primary reasons for this is that it was the first coin ever to a purity level of .9999 fine! 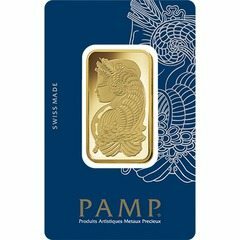 Premium Credit-Card Sized Packaging Option for 1 oz.